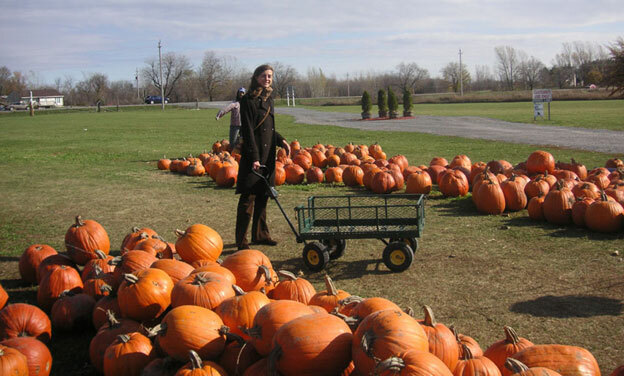 So let met tell you about my favourite holiday …. 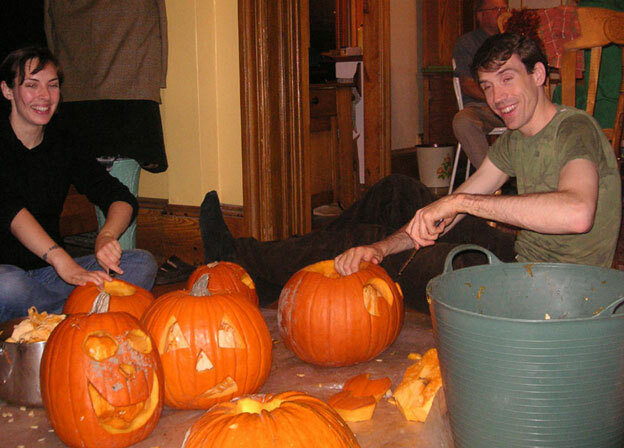 Halloween is the most buoyant and joyful of holidays. No suffocating religious affiliations (despite attempts to link it to All Saints’ Day), no exaggerated consumerism (at most you buy a dozen or two sacks of candy), and the seductive opportunity to play make believe for a night (I have a surgeon fetish at the moment). 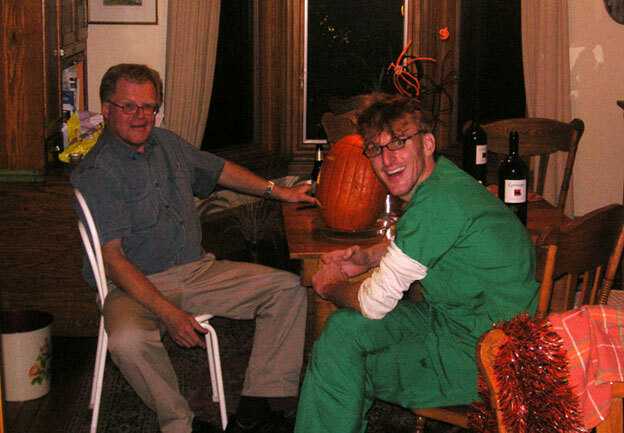 Some of my happiest childhood memories revolve around Halloween, what with the buckets of candy (an early lesson in the benefits of capitalism: the longer and harder you trick-or-treat, the more sugar you get), the costumes (my mom transformed me into a very convincing werewolf one year), and that eerie thrill of being out on the streets after dark (who wasn’t afraid ‘big kids’ would come and steal their candy sack?). 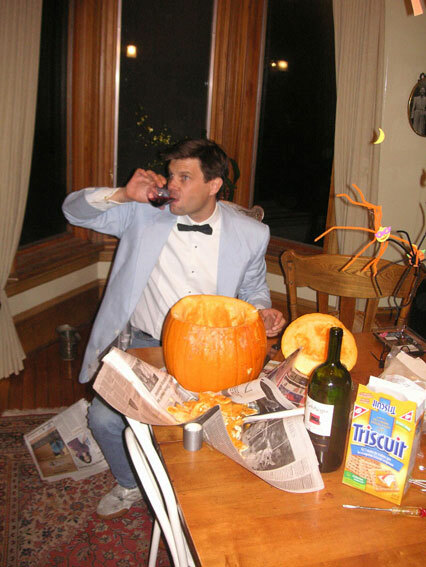 And even this man, an aspiring politician who washes away a bitter election loss with wine and pumpkins. 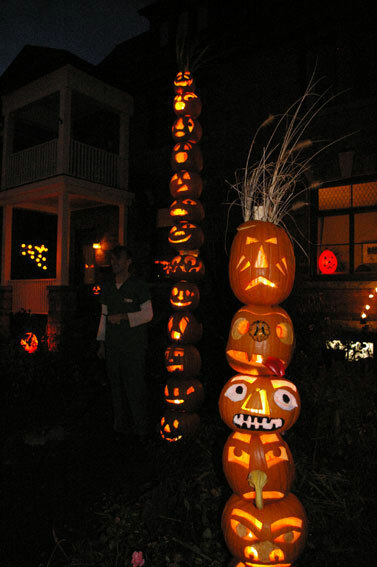 I was inspired by the totem poles created by the First Nations people on the west coast of Canada. 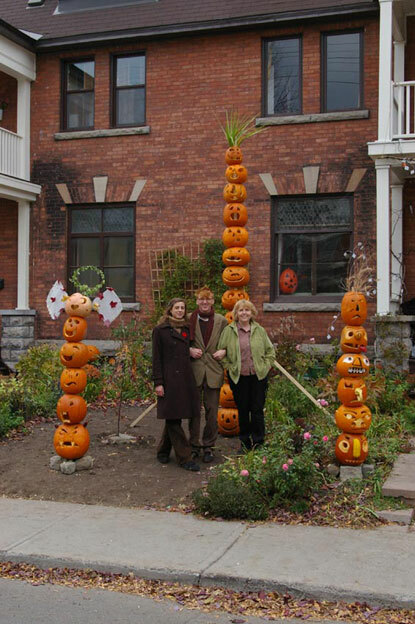 My original idea was to have three enormous pumkin towers, each one 15 feet high. 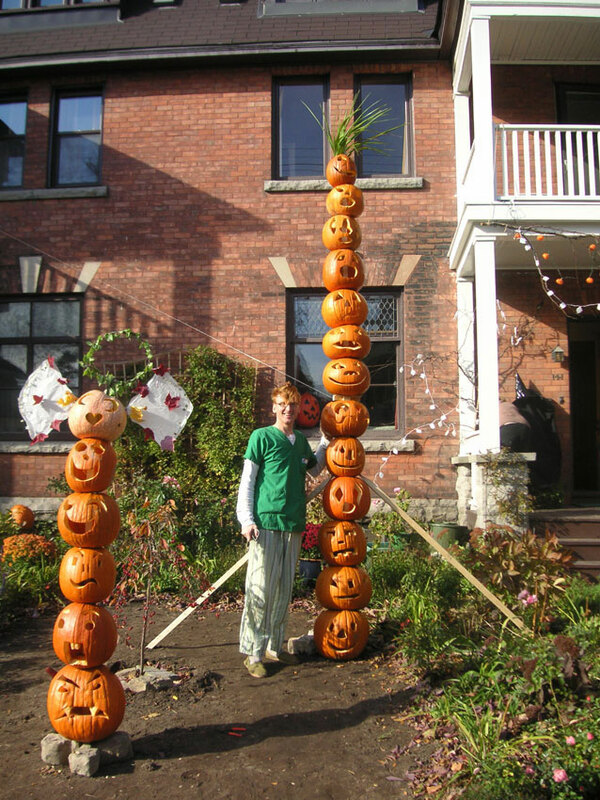 Then, I invited my mother and my girlfriend to participate and to my horror, they didn’t want to do massive poles, they wanted to do smaller, more intricate and artistic poles. They wanted quality over quantity! The blasphemy! In the end we chose (well, they forced me) to do three poles. Mine, a towering and majestic 14-footer. 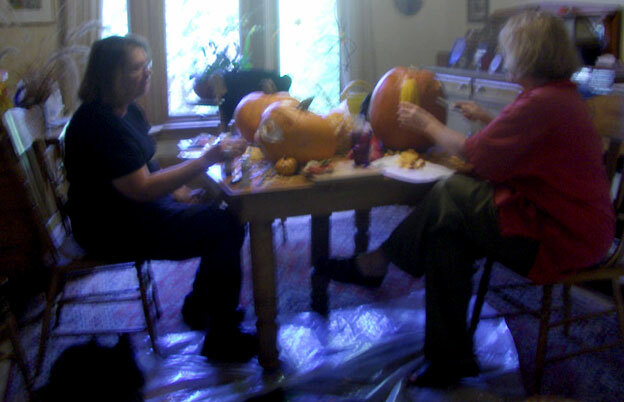 And theirs, very beautiful (but, let us be honest, a little less awesome) 6-footers. 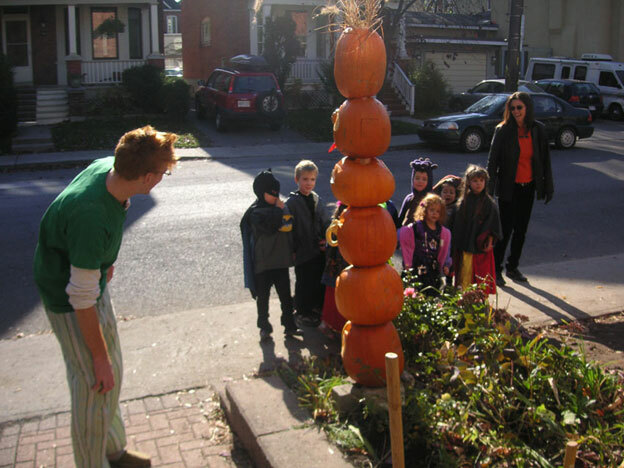 Here, a group of schoolchildren admire my mother’s tower. Of course, I am all blather and braggadocio, so you shouldn’t trust me. 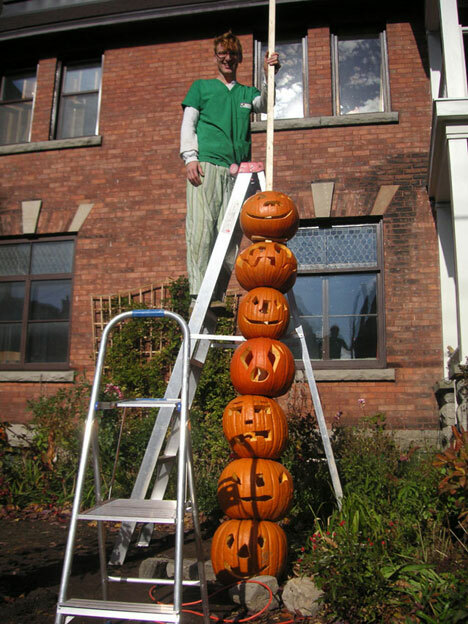 On the left is Géraldine’s pole, a six-pumpkin tribute to the range of human emotions, from misery and anger on the bottom to love (with angel wings) on the top. To the right is my mother’s pole, exquisite representations of Haida totem art. 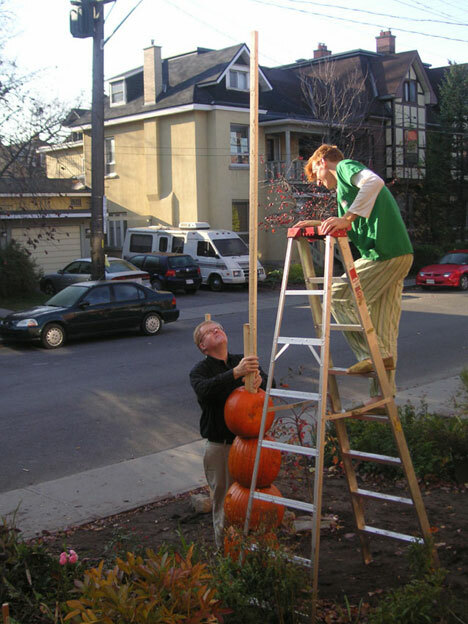 And, in the middle is my pole, which is simply big, a very very big pumpkin pole. Tell me you like mine the best. Please. 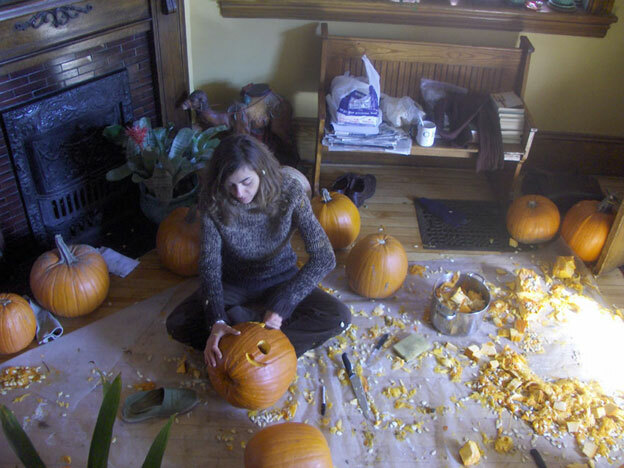 In 2005 (big pumpkins eating baby pumpkins), we had 124 trick-or-treaters. 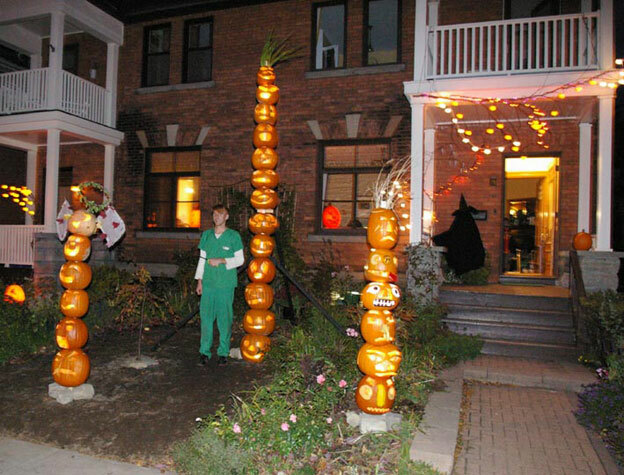 In 2006 (severed pumpkin heads on pikes), we had 148 trick-or-treaters. 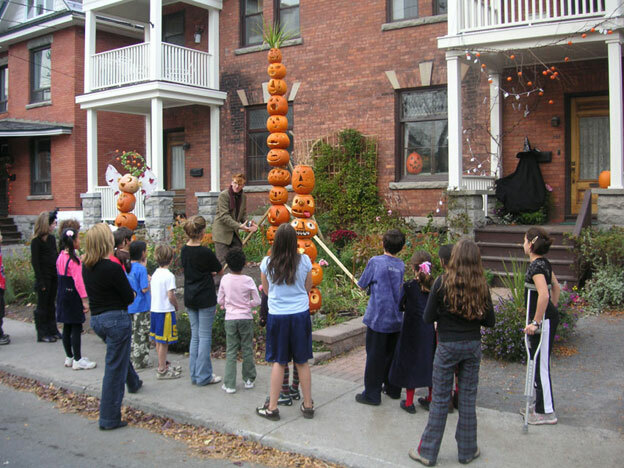 And, thanks to the pumpkin poles and perfect weather, this year, 2007, we had 275 trick-or-treaters. Holy cow, holy mackarel, holy rooster, holy everything. 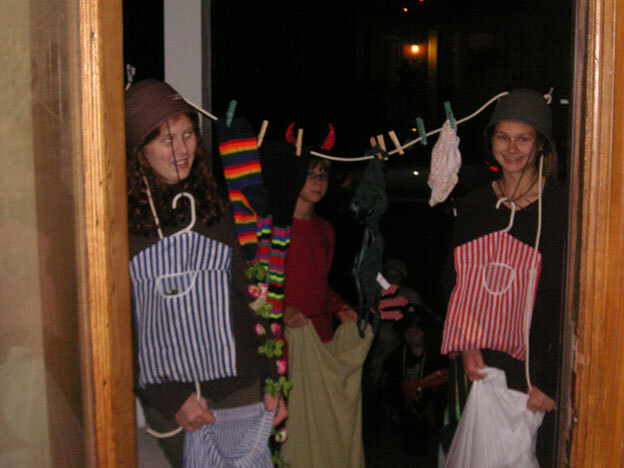 And this, the clothesline, was the best damn costume of the 275. © 2010 Jeremy Mercer. Website by Strangecode.